We are very glad to announce that we are going to have an Exhibition of two of the greatest Japanese Writing Instruments Brands, Nakaya and Platinum. We will have more than 35 special edition pieces and we will count with the Presence of the Nibmaster, Mr.Yoshida. He will be there to adjust your Nakaya and to answer to any doubt you may have concerning its Fountain Pens. It will take place at our store in Nuñez de Balboa 90, Madrid, from September the 8th till September the 13th. 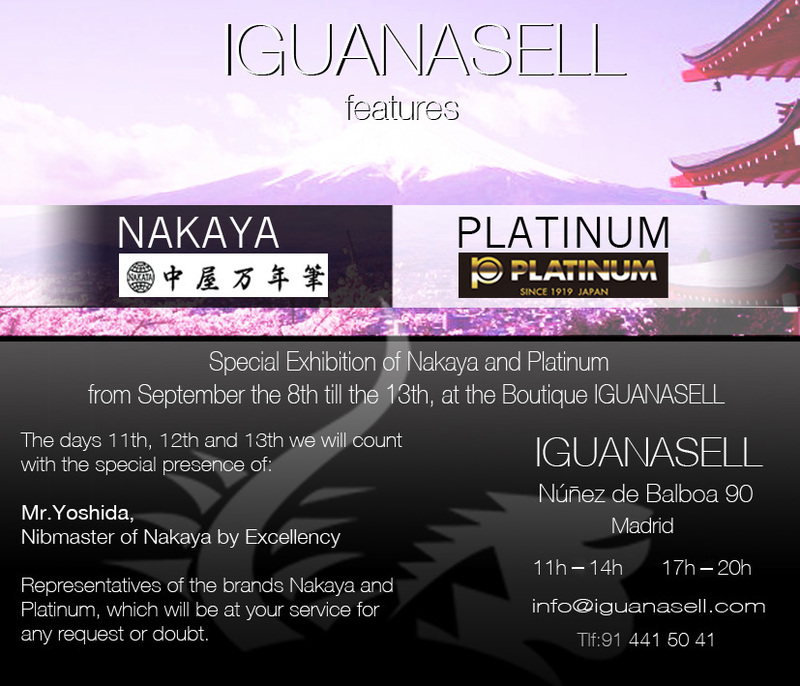 If you want further information about the Exhibition, please contact us to info@iguanasell.com. Do not worry, we will take pictures if you are not able to come! Sigo sin entender del todo esa osebsif3n vuestra con los plumines superflexibles. Entiendo que permiten una caligrafeda muy verse1til, pero… realmente emplee1is esa caligrafeda alguna vez en vuestra vida diaria?